Forget the Super Bowl. Next Tuesday, February 4th, at 7 PM New York time, we’ll all be watching the debate between young-earth creationist Ken Ham and science popularizer Bill Nye. It looks as if Nye and Ham agree on their goals: squeezing out the middle. Both debaters want to draw attention to young-earth creationism, and their agreement threatens to exacerbate the divide between evolution and creationism. The debate host, Answers In Genesis’ Creation Museum, will be streaming the action live for all of us to see. Ken Ham has suggested that the debate might be a perfect learning opportunity for teachers and students in public school science classes. From Ham’s point of view, this debate might be a chance to reach students who might not otherwise be aware that mainstream evolutionary science is full of holes. So it seems both debaters have the same goal. Both men want to make people aware of the claims of young-earth creationism. From Ham’s perspective, such awareness will help keep smart young Christians from leaving the faith. From Nye’s point of view, if people know what creationism is, they will help fight against it politically. With such agreement, it seems likely both debaters might succeed. This debate might elevate the profile of young-earth creationism. One casualty, it seems, will be other visions of creationism. Ken Ham’s brand of young-earth creationism, after all, is only one extreme form. Many religious people believe that humans and life were created at some point by God. But they do not believe that they must discard the findings of modern science. The folks at BioLogos, for example, insist that fervent Biblical Christianity can go hand-in-hand with mainstream evolutionary science. And “old-earth” creationists such as Hugh Ross agree that God did it all, but they don’t insist that he did it only 6,000 years ago. If this debate succeeds—at least according to the goals of both Ken Ham and Bill Nye—those “other” creationist belief systems will likely get squeezed even further out of the conversation. That’s a shame. Too many observers already equate “creationism” with young-earth creationism. It may make for more lively debates, but it makes for less productive and civil conversations. If you don’t really understand it, you can still go to heaven. But if you are logical, you can’t. That’s the message about creationism and salvation recently from the young-earth creationist Institute for Creation Research’s Jason Lisle. Lisle debated “old-earth” creationist Hugh Ross at the National Conference on Christian Apologetics. Both men spoke with The Christian Post after their debate. It’s possible to still go to heaven if you don’t embrace a young earth, Lisle said. But that is only true if you are willing to embrace illogic and ambivalence. In order for the Bible to make sense, Lisle argued, Christians need to insist on its obvious meaning. will say they can live with the inconsistencies. They’ll tell me: ‘Well, it’s just Genesis that I allow the scientists to tell me what it meant.’ But, what we’ve found is that children will see that inconsistency, and they will be more consistent, they will reject all of the Bible. They’ll say, ‘Well, mom and dad don’t really believe in the Bible because they don’t believe in the first few chapters. Why should I believe in the Gospel?’ We’ve seen that happen. The statistics are just alarming. We see the students walking away from church in droves. If you believe in millions of years, if you believe the fossils are millions of years old, you have death before Adam sinned, in which case death cannot be the result of Adam’s sin if it was already there for millions of years. If death is not the penalty for sin then why did Jesus die on the cross? As astute observers from both sides have noted, this is one idea on which atheists and young-earth creationists agree. Jason Rosenhouse, for instance, an atheist mathematician and student of American creationism, agrees with young-earth creationists that evolutionary science is a fundamental challenge to traditional Christian faith. Bridging the worlds of creation and evolution may make intuitive sense to Ross and many more Bible-believing Christians out there. But the logical case for a rigid choice between either atheism or young-earth creationism remains compelling. For those who believe in an inerrant Bible, the choice can seem all-or-nothing. Can Pentecostals embrace science? Can they find a way to love both God and Gould? 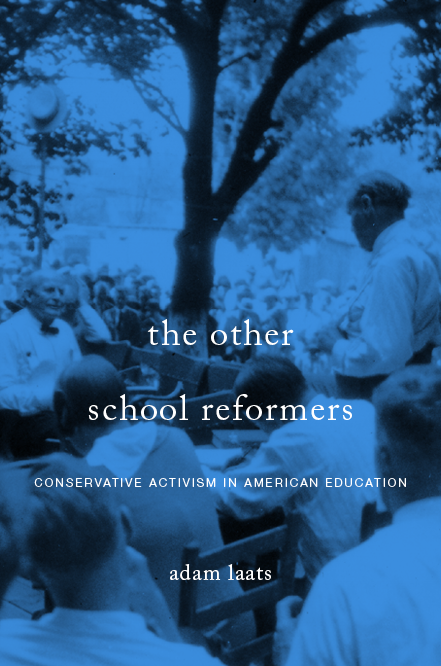 For those of us trying to understand the conservative vision of education from the outside, the newest edition of the Assemblies of God’s Enrichment Journal is a treasure trove. This edition offers a series of articles for the denomination’s readers about the proper relationship between faith and science. As General Superintendent George O. Wood explains, the dangers for young people in the church are stark. He quotes “Mike,” who declared, “I knew from church that I couldn’t believe in both science and God, so that was it. I didn’t believe in God anymore.” Wood hopes that this volume will help Assemblies of God members negotiate a more profound and religious relationship between science and faith. Perhaps the most interesting section of this issue for those of us outside the conservative tradition is its forum on the variety of evangelical positions for the age of the earth. Kurt P. Wise makes the case for a young earth, Hugh Ross for six long ages, and Davis A. Young for an old earth. With each article, we see the very different intellectual playing field for evangelical intellectuals. Among mainstream scientists, the first question is usually whether any new approach offers better insight into the natural world. Among evangelical thinkers, the first question is whether any scientific approach offers better insight into the natural world while allowing Christians to maintain an authentic faith. But for those of us outside of evangelical circles, an understanding of both the different evangelical views of science and the ways evangelicals construct their scientific arguments will go a long way to decoding the stubborn controversy over evolution and creationism.